(Trent Nelson | Tribune file photo) The Utah House Chamber in Salt Lake City, Thursday March 8, 2018. 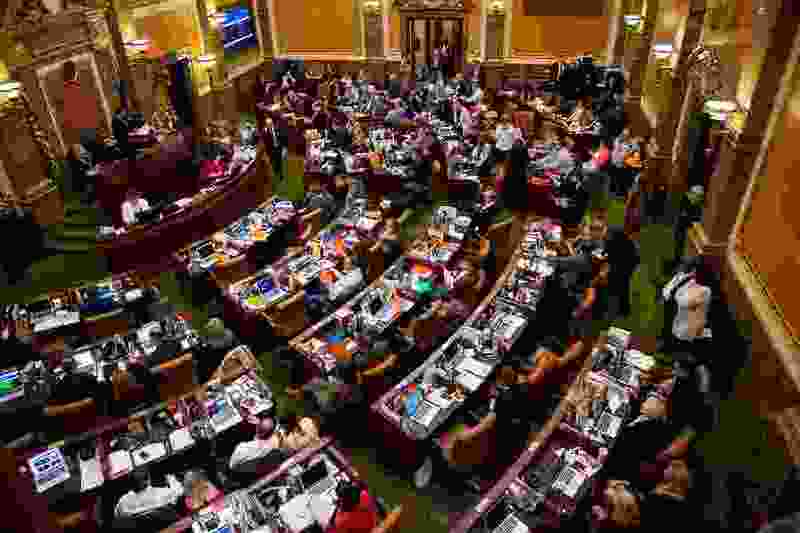 Two-thirds of the Utah Legislature’s standing and appropriations committees will be led by new chairpersons next year, following the retirements of several veteran lawmakers and turnover in the top leadership positions in both the House and Senate. Utah Democrats also gained additional seats in some committees, after the minority party expanded its numbers in the House and Senate during the 2018 election. And Rep. Susan Duckworth, D-Magna, earned the assignment of House vice chairwoman of the Higher Education Appropriations Committee, a role typically held by members of the majority party. Committee assignments have a significant, but esoteric, effect on the speed and type of legislation reaching the House and Senate for a vote. And each chamber will see a new chairperson of its powerful rules committee — which assigns bills out to standing committees and can function as a legislative bottleneck for divisive proposals. Sen. Gregg Buxton, R-Roy, will succeed Sen. Deidre Henderson, R-Spanish Fork, as the chairman of Senate Rules as Henderson becomes the new chairwoman of the Senate Education Committee. Rep. Lowry Snow, R-Santa Clara, will serve as chairman of the House Education Committee following the promotion of former chairman Rep. Val Peterson, R-Orem, to majority assistant whip. And Lowry’s vice-chairwoman on the education committee will be Rep. Susan Pulsipher, a second-term lawmaker and former president of the Jordan School District Board of Education. The House Judiciary Committee will see a new chairwoman in Rep. Karianne Lisonbee, R-Clearfield, as Rep. Mike McKell, R-Spanish Fork, moves to the House chairman seat in the Higher Education Appropriations Committee. Lisonbee was first elected in 2016 and is a vocal proponent of gun ownership rights and a staunch opponent of abortion. In the Senate, South Jordan Republican Sen. Lincoln Fillmore will take over for outgoing Sen. Howard Stephenson, R-Draper, as chairman of the Revenue and Taxation Committee. Fillmore will be replaced in the Health and Human Services Committee by freshman Sen. Ron Winterton, R-Roosevelt. Sen. Ralph Okerlund, the former Senate Majority Leader, will chair the Senate’s Natural Resources, Agriculture and Environment Committee, following the March resignation of Sen. Margaret Dayton. The full list of House committee assignments can be found at house.utah.gov, with Senate committees listed at senatesite.com.